Yesterday was overcast, threatening rain, but we ventured out with raincoats at the ready in case we encountered downpours. Because of the weather, we stayed close to home rather than drive a long ways, only to find ourselves rained out. 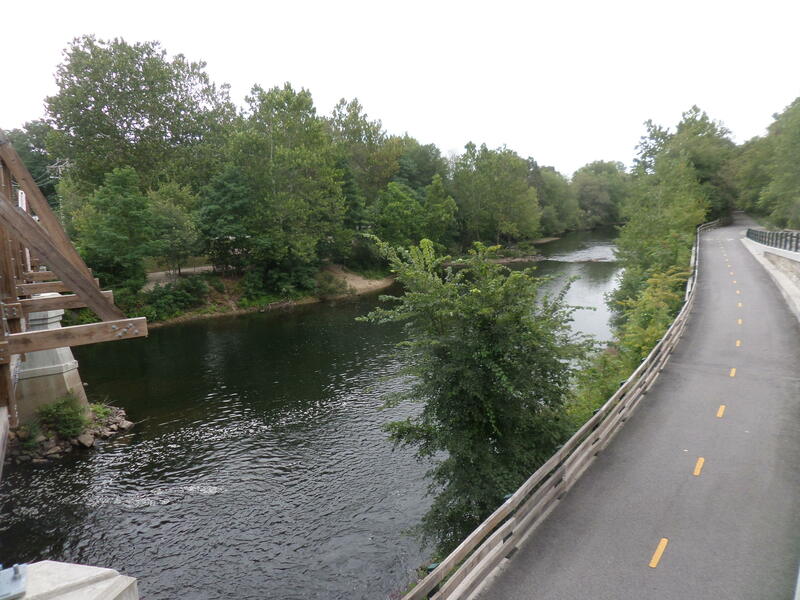 The Blackstone River Bikeway is only a few miles away, just over the border into Rhode Island. I particularly enjoy seeing the river as we ride. Oftentimes the Blackstone Canal is directly next to the trail, the river on the other side of the bike path. I have fun trying to figure out where the original tow path was. As we ride I wonder what parts of the tow path are preserved underneath the tarmac of the present-day bike path, and where the trail planners moved the pavement to better accommodate bike traffic. When we come to scenic spots we stop to look around and enjoy the view. We always look for wildlife along the way, birds being the most common form of wildlife we encounter. We stopped at Pratt Dam in Cumberland, and immediately noticed several birds just below the dam, perched on an overhanging branch. One after the other, the birds hovered, swooped about like swallows, then landed back on their perch. Some moved to the far side of the dam, but they continued their hunting behavior long enough for us to get some pretty good looks at them. 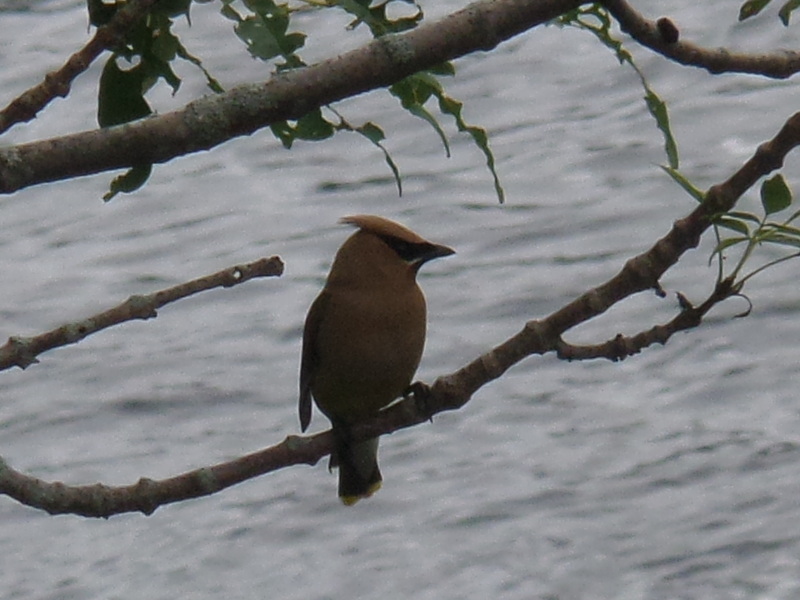 This was a bird I’d never seen before–crest, buff color, interesting line of yellow on the tips of their tails–cedar waxwing? Once home I found that these were, indeed cedar waxwings. I thought they ate only berries, but reading more, I found that they also do exactly what we’d seen, hover over water and hunt for insects. What a treat. I will always associate these birds with where I saw them first–along the Blackstone River bikeway in Cumberland, RI. I have also seen them only once, years ago. They were in a flock making a lot of noise in a big tree. I think it was in eastern TN.